This show may not have made much of an impact in the USA, but estimates suggest that close to 200million people across Europe tuned in to watch the 56th annual Eurovision song contest. The competition moves around European countries with the winners from the previous year getting the honor of hosting it. This year was in Düsseldorf, Germany after last years runaway winner Lena was crowned champion. The competition usually arrives with a certain amount of controversy and cynicism as the close-knit European communities (particularly the former Soviet Block) tend to vote for their neighboring countries therefore removing the talent factor from the voting for more diplomatic connections. This seems to have been slightly more conspicuous in later competitions, but there are still some of the same old allies (Greece will invariably give their maximum points to Cyprus and any one of the Scandinavian countries will also make their allegiances known.) This year it was all but unnoticeable with some real surprises. Particularly in terms of the British entry. 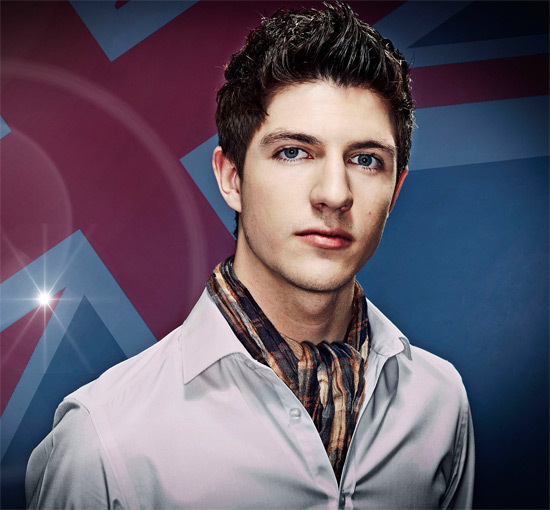 It is easy for the Brits to have mixed feelings about the Eurovision. We haven’t had a winner since 1997 with Katrina and the Waves and Love Shine a Light. Every year we launch into it with gusto, and every year we get humiliated in front of a massive European audience. We have quite a history of strong performers with Cliff Richard, Bucks Fizz and Sandy Shaw amongst our most memorable. But with last years performance, Josh Dubovie singing a song penned by Lord Andrew Lloyd Webber (a veritable God in terms of musical theatre. Phantom of the Opera? His. Cats? His. Joseph and his technicolour dreamcoat? His. Les Miserables? Not his, but very good anyway,) picking up a meager 10 points from 43 voting countries, expectation was high that we could improve on this. For several years it seemed like we really weren’t taking the competition too seriously, putting forward acts like Scooch (plastic pop, inexplicably in air stewardess uniforms) and Gemini (a brother and sister act who blamed bad sound for their shameful performance.) The European audience were unforgiving with them voting in their hordes for everyone else. How could this happen? We are the country that gave birth to Bowie, The Beatles, Queen, Led Zeppelin, Pink Floyd, The Bee Gees, Take That and many more world famous musical pioneers. Why couldn’t we get it together for one night to show the Europeans (and the world) how proud we are of our musical legacy? Instead we seemed to be throwing out mindless pap that made us the laughing stock of Europe. It’s easy to become embittered about it, suggesting that tactical voting by the other countries meant we’d never get a chance. It would also be easy to say that the UK isn’t always the most popular country in Europe (famously shunning the Euro in favor of keeping it’s own currency and a number of frowned upon political allegiances with the USA.) I think it’s much simpler than that. I think we just simply weren’t putting good enough bands through. The 2011 competition was absolutely no exception, with all the weird and wonderful elements present. This year expectation was high. We had put newly reformed boy band Blue in. Blue were a big deal in the UK, always charting high, good looking lads with a pop edge that was never too cheesy. They’re not my cup of tea, but they were a good choice and I thought we’d do well. Unfortunately, we hadn’t counted on the Irish entry. Jedward! From the second the trademark quiffs bounced onto the stage for, albeit, a very energetic performance of their song, “Lipstick,” it was clear that they were popular with the huge audience in the stadium. What would become apparent later is how popular they were with the TV audience all across the continent. However, Blue performed their song, “I Can,” (with a touch of Rocky Balboa training montage to it,) to rapturous applause from the gathered thousands and so suddenly we were back in it. Surely we’d get more then the ten points we mustered last year. It is worth noting here that this is usually where the drinking games begin at Eurovision parties up and down the country. You’d pick a country from the sweep stake and whenever that country is awarded points, you would take a good hearty gulp of whatever it is you’re holding at the time. If you were lucky enough to get the UK last year, you’d have had a very boring night. If you were unlucky enough to pick Germany you would have ended up in Casualty having your stomach pumped. The UK entry started very strong and for a short period of time, we were actually at the top of the leader board. However, gradually the other countries began to pick up speed and overtake us. Most of the countries that voted, were giving us points, but in very small numbers. Still every little helps and we finished in 11th place with a much more respectable score of 100. So, we didn’t win, but we definitely staged something of a comeback. Blue should be very proud of turning around what many saw as a hopeless future in a meaningless and outdated competition. I’ve always loved the Eurovision song contest. 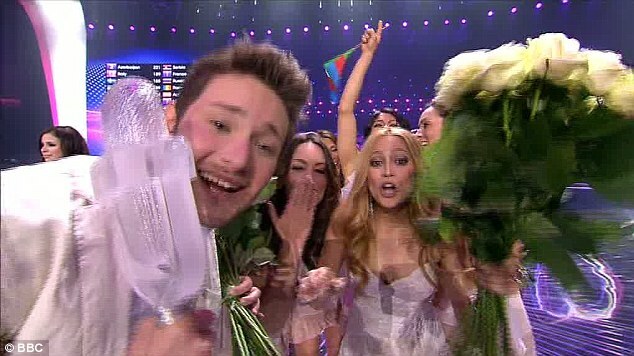 The winner this year was Azerbaijan. Who? Exactly. I would defy anyone to point to it on a map. But that’s the great thing about this show. It’s about a collection of nations with massive cultural differences getting together and showing the best side of it. Too often we meet Europeans with political aims, through mass immigration or in armed conflicts. It’s nice to get together and share music together. And congratulations to Azerbaijan. It wasn’t my favorite song of the night (check out Bosnia & Herzegovina’s entry, or I can also recommend Finland and Moldova,) but next year the competition will move to Azerbaijan for the first time ever. Good for them. The commentator on British TV pointed out that it was a good job they did win because they were one of the few countries in Europe who can actually still afford to host it, being as they are a very oil rich country. And I know you’re all desperate to know. How did Jedward do? 109 points. They finished above Blue. Come on Europe, were you taking this competition seriously? Or did you start the drinking games earlier than the rest of us?